There are different reasons why lock change is required. Most often, the device can no longer operate properly or there is a risk for a key to the existing lockset to be in the hands of the wrong person. It is true the replacement will cause some inconvenience to you as you will have to fit it into your busy schedule. At the same time, you should also view it as an opportunity to make your property more secure. This is much more easily achieved than you may think. You should certainly not opt for the exact same door lockset as the previous one. This is because it has most probably got technologically outdated. With a more advanced device you will have higher security. You should compare different types of locks to decide which one will suit your needs best. At present, deadbolts are preferred over traditional latch locks simply because the thick and strong bolt is much harder to overcome compared to a latch. If you consider deadbolt installation, you should know that traditionally these devices do not come with a handle. That is why you have to ensure that the package includes a handle-set. In general, locksets work properly for longer when the key is not used as a handle for operating the door. If this happens, the risk of breaking the key and damaging the cylinder is quite high. 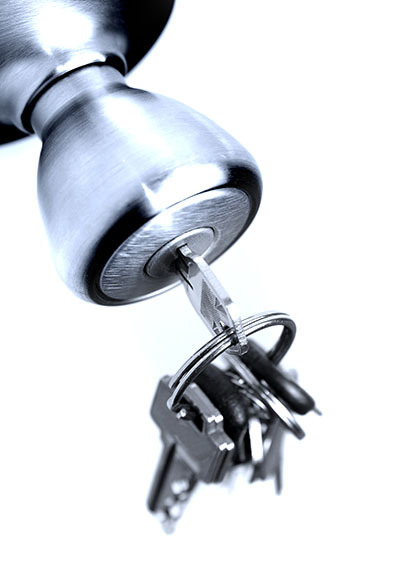 In this case, you will need both lock repair and key replacement. Another option that you should consider is the installation of a digital door lock. This type of device has an electric motor and does not require the use of a physical key. Instead, you can enter a code with a keypad, use a remote control or your smartphone as a key or even open the door with your finger through fingerprint recognition. With a digital device, there will be no need for rekeying. Besides, it is possible to give people temporary access codes. The specialists of Locksmith Hawthorn Woods recommend that the lockset which you choose must be strong and highly resistant to picking. It is best to go for a mechanical device with six pins instead of the traditional five as this makes picking more challenging. The strongest locks have brass or steel make and thick and long bolts and attachment screws. It is certainly better to invest more money in a device which will provide high security and operate optimally in the long term. Last, but not least, you have to ensure that you will get perfect lock installation. The locking device and the strike plate must be perfectly well secured. The key should go into the keyway smoothly and turn quickly and without resistance.